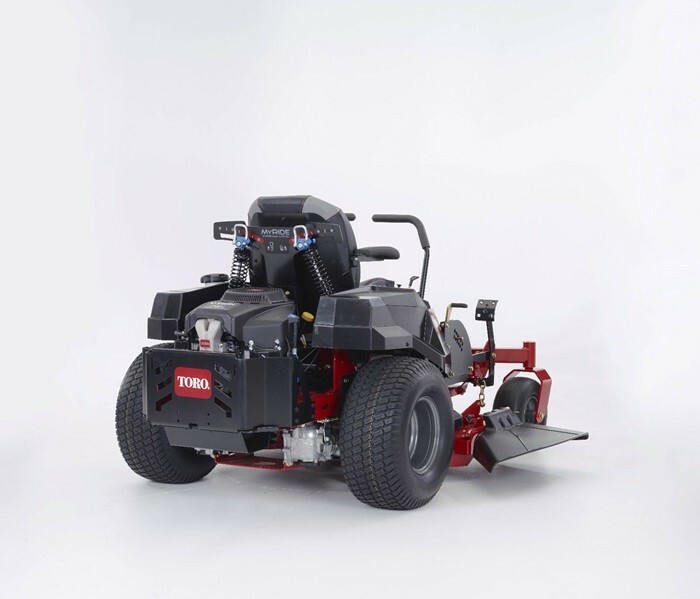 Toro TimeCutter HD XS4850 (74866) The new TimeCutter® HD zero-turn mower does more than cut grass to perfection. It does it in style and in the best comfort possible the spring platform is fantastic set the tension relative to your weight which takes seconds and off you go cutting grass even on the most uneven surface in comfort. Suffer from a bad back this machine is for you, conventional machines have no supension which is hard on the operator but this machine has it sorted. It can also cut your mowing time almost in half*. But when you’re bouncing around on rough terrain, speed won’t do you any good without superior comfort to match. The smooth MyRIDE™ Suspension System** features a suspended operator platform that cushions you from bumps and vibrations, so you can be more productive and stay comfortable. And the heavy-duty GRADE 50 high-strength steel deck is nearly 50% stronger than other decks***, so you can power through tough grass. You'll not only enjoy mowing – you’ll enjoy more free time. 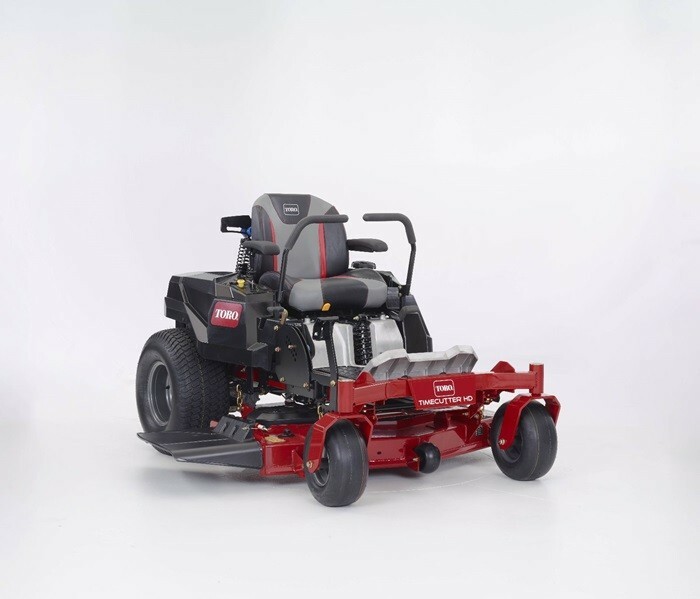 * Time savings are from 2008 to 2012 survey results for Toro residential zero-turn mowers, as reported by owners. **Available on select models. ***Compared to regular 11-guage steel decks. Maximum Comfort – Suspended operator platform allows you to float with 7.62 cm of travel Choose Ride Setting – quickly and easily adjust the ride settings Excellent Handling and Manoeuvrability – large 22" (55.9 cm) rear tyres ensure better handling and manoeuvrability, plus a smoother ride Heavy-Duty Construction – designed for durability in the toughest conditions.